More serious reactions to outdoor allergens may require additional help. Our doctors can help you determine how to best keep your eyes clear and comfortable this allergy season! We don’t want allergies to keep you from enjoying the beauty of spring! 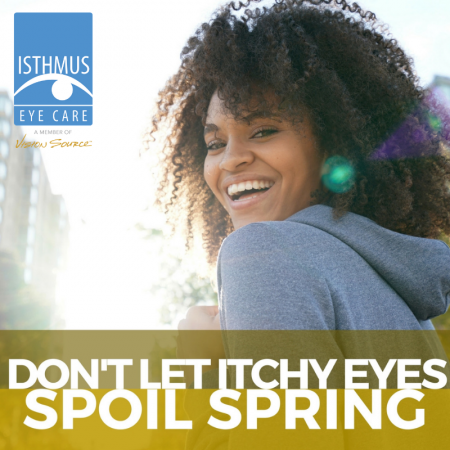 If you continue to experience persistent allergy symptoms despite preventative measures, reach out to your doctors here at Isthmus Eye Care and and we can help you review your options for allergy relief.